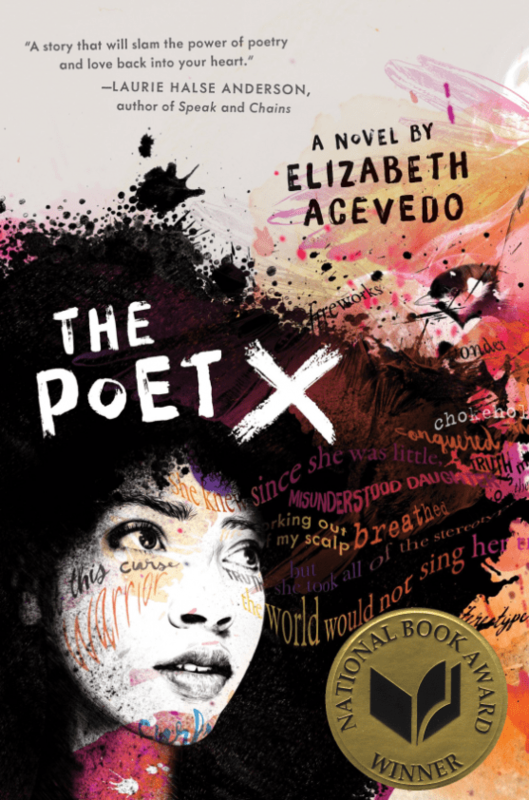 THE POET X is the National Book Award Winner! The National Book Awards were established in 1950 to celebrate the best writing in America. Since 1989, they have been overseen by the National Book Foundation, a nonprofit organization whose mission is to celebrate the best of American literature, to expand its audience, and to enhance the cultural value of great writing in America. “As the child of immigrants, as a black woman, as a Latina, as someone whose accented voice holds certain neighborhoods, whose body holds certain stories, I always feel like I have to prove that I am worthy enough and there will never be an award or accolade that will take that away,” Acevedo told the crowd as she accepted the country’s most prestigious literary award. View Elizabeth’s full acceptance speech here. 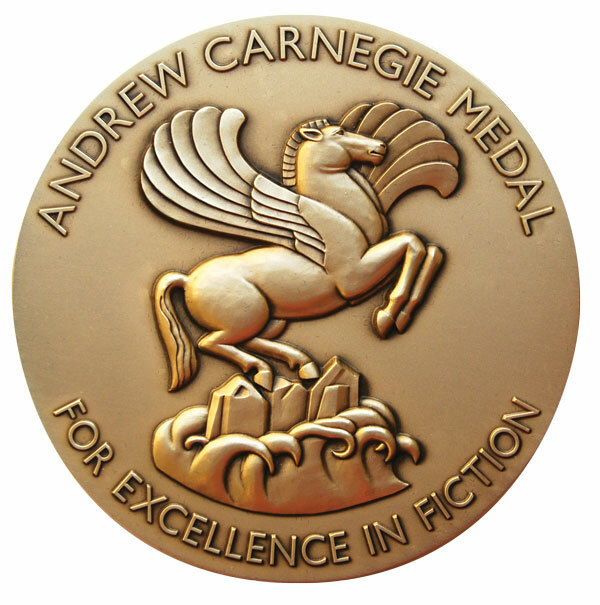 The Poet X has been nominated for the 2019 Carnegie Medal, the UK’s most prestigious prize for children’s literature! Check Out WITH THE FIRE ON HIGH! 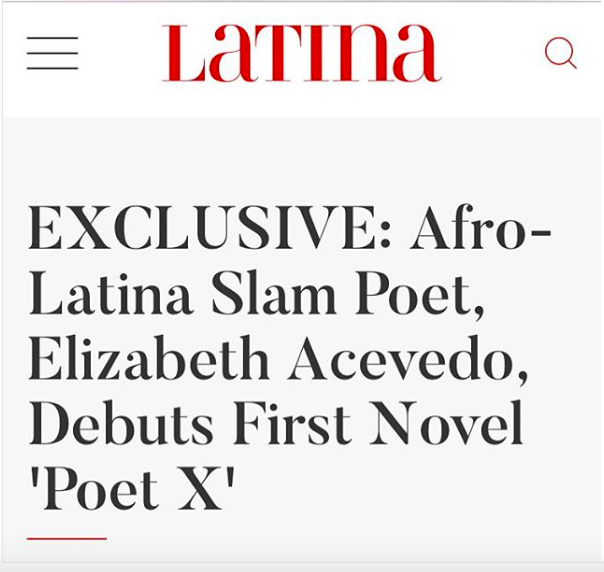 Head on over to Entertainment Weekly to check out the cover and receive an exclusive peek of the first two chapters of the highly anticipated follow-up to The Poet X! Growing up, Latina Magazine was one of the few magazines I bough consistently and to which I even had a subscription. I loved learning about powerful women who shared a similar cultural heritage as me, and as a huge reader I especially loved book recommendations for writers of Latinx descent. So it is with great pride that I answered some questions for the magazine. Here’s the interview where we talk about THE POET X, Afro-Latindiad, erasure of certain narratives, and of course, Cardi B.